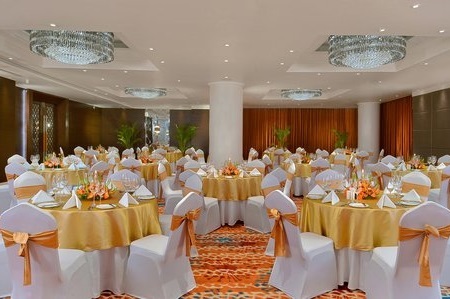 The Country Inn & Suites in Manipal offers catering services to help set your social and professional events apart from the rest. We work directly with you to understand your event from the inside out, and then we collaborate to set a distinctive theme. No matter if you’re planning a wedding reception, corporate event or birthday party, our well-qualified personnel and master chefs are committed to making your event as successful as possible. See our full banquet menu or our banquet packages for more information.